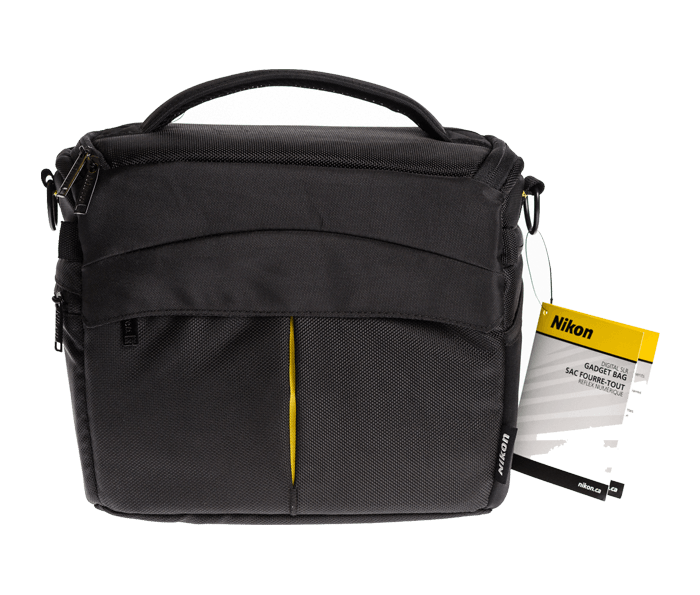 Top compartment features a zippered front opening for quick access to your camera gear. Zippered front accessory pocket with internal pockets provides additional storage space. SD memory card storage compartments. Removable padded dividers for customizable storage. Easy-to-carry with padded handle and detachable padded shoulder strap.